Matt Wakerley with a decent bronzie on the beach at Matakana Island this summer. The usual seasonal media hype about sharks has gone into a feeding frenzy this summer. And at the risk of fueling the hysteria, it’s worth noting that sharks definitely seem more prevalent this year than other seasons. Or at least, the stories are bigger and more colourful. Yet, the bad incidents are surprisingly rare. It could be that sharks need some help with their public relations. 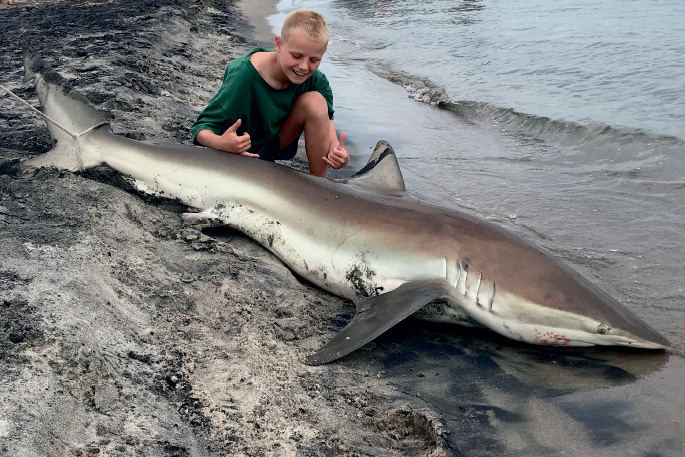 The fact remains that there are very few shark attacks, considering the number of people swimming around with them… and some spearfishers have enticing dead fish in tow. New Zealand has recorded 12 fatal shark attacks since records began in the 1850s, and about 50 non-fatal attacks recorded. That’s a dozen deaths over a century and a half, around one fatal encounter every 14 years. That’s not very impressive stats for the sharks. They’re lagging behind skateboards, jetskis and stingrays. The last fatal was six years ago at Muriwai Beach. And on the non-fatal injury statistics, sharks struggle to keep up with Labradors, Lime Scooters and tequila shots. There’s a Shark Attack Data website (it’s not very busy) that claims 125 “attacks”, but this includes minor incidents such as sharks nudging people. You’re more at risk of being bumped into at the local supermarket. Although I guess a blue shark hitting at speed might hurt a bit more than trolley rage at Countdown, as Paul Baird found out in 2010 at a Nelson beach when he was rammed by a bluey. “It felt like I’d been hit by a small car,” he told the Nelson Mail at the time. It’s a fact of life that sharks have always been around and we hardly ever see them. Anecdotal evidence suggests however this summer they’ve been keener and more brazen than before. Plus every man and his dog now has a fancy phone camera on hand, and the ability to quickly share the drama wide and far. Locals have been catching big bronzies off the beaches for ever, mostly releasing them after an epic landbased fight. Check out the photos of Matt Wakerley recently on the beach at Matakana, the family landing Bronze Whalers at one of the most popular swimming and boating areas of the Tauranga Harbour. Fishos in the region’s harbours report excellent snapper fishing and a few good kingies, but many of them have been audited by the taxman before they’ve got to the boat. I’ve not heard so many “sharked” stories before, and they all seem to fit a new pattern. It’s likely that the bronze whalers are excited for the same reasons as the fishos… where there’s good fishing there’s plenty of fish and so it follows that the sharks will be on scene. The water has been warm, the temperature at the entrance on the outgoing sitting at about 23 C.
Bronze whalers are very common in Tauranga harbour and generally keep a low profile. 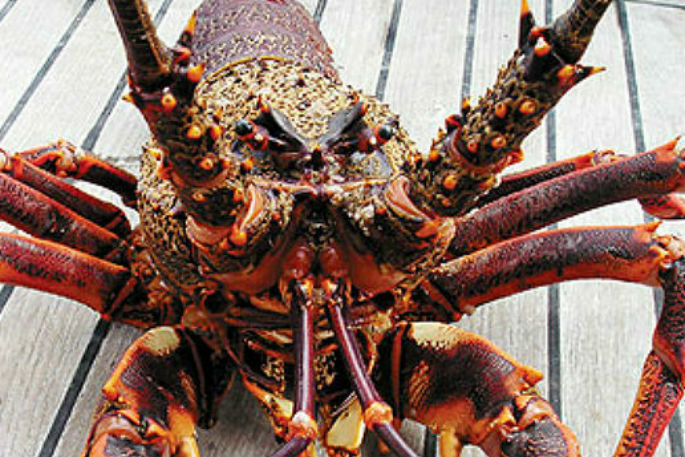 Land based anglers have been landing and releasing them regularly at the harbour entrance, along the surf coasts of Mount and Papamoa. Yet the ski brigade never see them in the ski lanes, but they are there, and it would seem, harmless to human activity unless you have a twitching fish on the end of your line. Pilots flying over the harbour report regular sightings all over the shallows and in Hunters Creek. Spear fishos are also reporting more shark encounters along the outer coastlines from the Bay to Coromandel. Interesting that there have been no reports of serious injury, despite some close quarters interaction. I’ve had a couple of close inspections from makos while spearfishing this year, a plus few other dark shapes on the edge of viz, but nothing with seriously sinister intent. One spearo in Whitianga is reported to have fended off a bronzie with his fist and speargun in January, ended up with a few notches out of his gun and rubber and a few tears in the wetsuit. It’s not known whether the shark caused the suit tears, or if they were the result of an rapid re-entry onto the boat. One thing that does make sense is for spear fishos is to keep the catch away from your body. Never tie speared fish around your waist. Best option is to use a float boat, instead of a stringer line. Getting the catch out of the water reduces your chances of unwanted attention from large predators. And reduce the chance of getting caught up in a munching frenzy. Float boats are also a good safety feature, making a spearfisher more obvious to boats. A full size float is also handy to hang on to for a breather, to store spare gear and a water bottle, and some can even be climbed on like a giant flutter board, to save energy and move long distances more efficiently. This may not be a big deal with you’re young, fit and hyperactive, but those of us spearfishing in our advancing years need every cunning advantage we can find. I’ve trialled and tested several float boats over the years, ranging from the most primitive home-made contraptions, through to the most snazzy commercially produced designs. The old boogie board with a catch bag tied on the top is a good cheap option, but the best I’ve found so far is the Wettie plastic moulded float boat. It keeps the catch clear of the water. Its buoyancy is sealed so it’s unsinkable and the PVC cover with stretchy ties keeps the sun off the catch and is easy to use. The Wettie version is low profile, so has less windage than other brands and is also slim to stow on a boat. It is relatively light to handle. The big grab handles around the sides and rear make it easy to hold. The rounded chines make it quiet through the water and it seems to tow easier than any of the others trialled. And as far as sharks are concerned, they’re built to eat fish. They’ve evolved very successfully over millennia to do just that. Some good advice to avoid being mistaken for a fish: Don’t go swimming in murky water and where fish filleting or burley trails are happening. Dusk and dawn are feeding times, so you’re unlikely to be on the menu in broad daylight. Sharks may cruise by, but most of the time they’re just inquisitive.